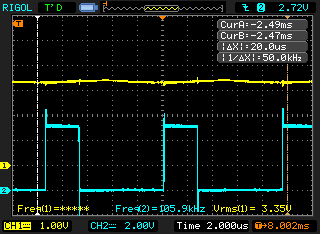 For the moment I don’t have wired the Operationnal Amplifier. 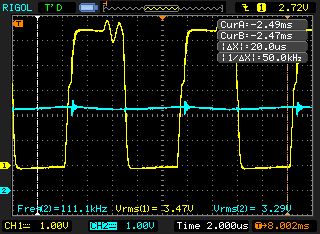 I just implemented the PWM part (for the pic18 and dspic version). 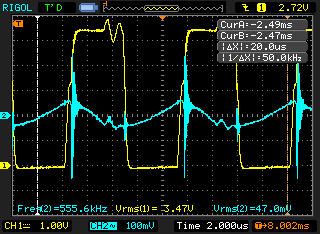 For information here is the Voltage ripple measure with this version (no totem-pole). I didn’t take a picture for this version, it’s a really messy bunch of wires ;) But here is the schematic (you can find the ltspice on my repository). 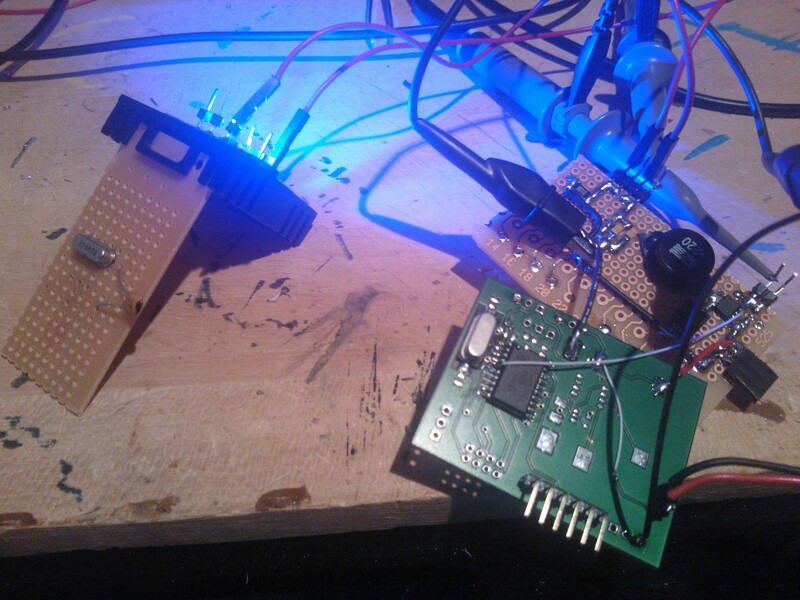 This one is working too with decoupling capacitors, if you don’t put them there will be some transient problem and the uC will sometimes be stuck in the reset loop of hell. 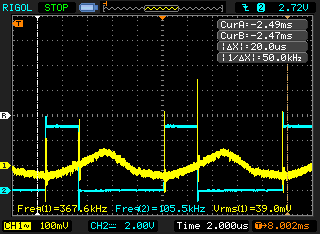 The scale is different but you can see, the ripple is less present and the rising edge of the PWM is clean without ringing in the top side. If you want all the data for this project you can get files here. 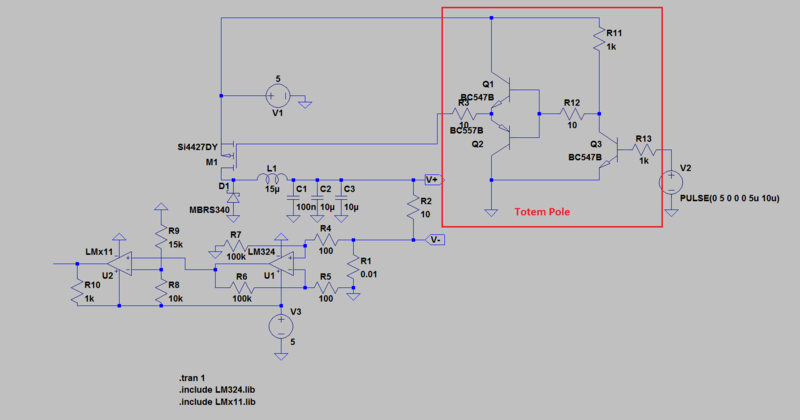 Publié dans Astuce / Tips, Divers, Electronique, Kicad, XPLDuino.Tagué current regulator, dspic, led, mosfet, pic18f13k22, pwm, xplduino.